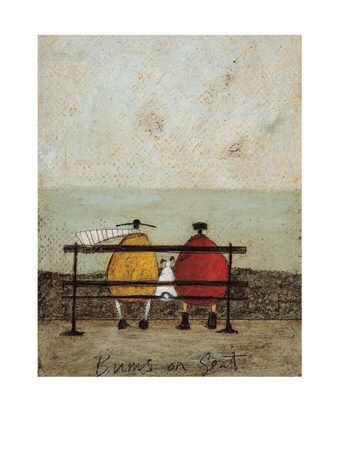 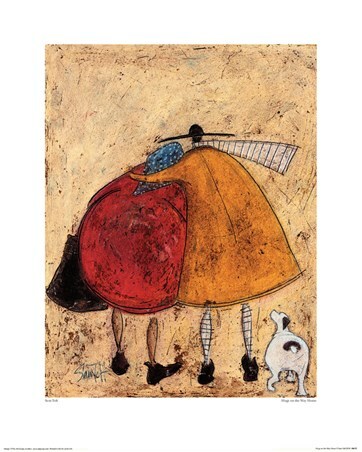 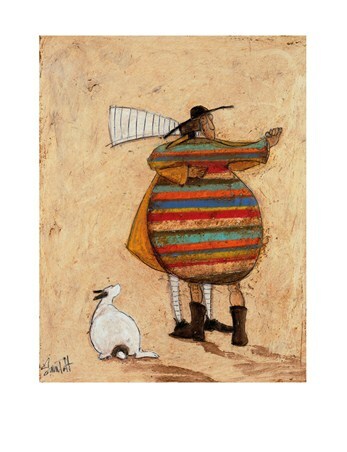 Contemporary Art Print: Sam Toft has done it again! This talented artist continues to create stunning imagery with the help of her trusty friends, Ernest and Doris. 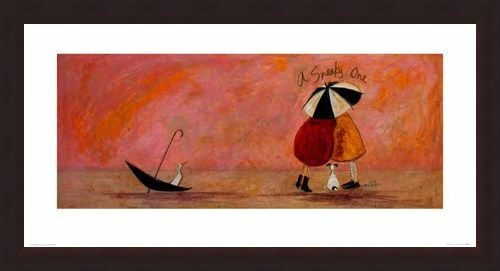 In this charming instalment we see the very loyal Doris and her friend Horace the Duck as he sits in an upside-down umbrella. 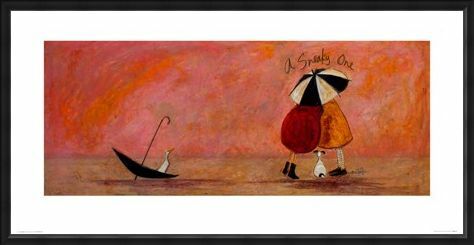 Placed upon an amazing array of pastel reds and peaches, we can see Mr Mustard hidden in front of an umbrella with a 'friend' whilst the caption "A Sneaky One" is placed over-head. High quality, framed A Sneaky One Art, Sam Toft print with a bespoke frame by our custom framing service.